As Mother Nature has proven time and time again, weather can be unpredictable. Sure, we’re officially in the spring season, but does that mean we’ve seen the last of our heater usage? Well, no. Still though, many homeowners are looking forward to warmer temps and as a result, getting ready to shut down their heaters for the season. But, what if repairs are needed for your electric furnace in Coeur d’Alene, ID? Can you just ignore them for now and wait until next fall to take care of them? We really wouldn’t recommend it. Ignoring any type of heating system problem can cause it to turn into a much bigger issue, leaving you with a broken down heater next fall when you need it the most. Or depending on the circumstances, it could at least be malfunctioning. But, how do you know if you have repair needs that require attention now? Read on to learn some of the sins of a heater malfunction. Have you noticed that your living space isn’t heating up as fast as it used to, or you find cold spots in certain areas of your home? If so, it could be that your heater is declining in some way. It can also be something else, though—like a problem with a miscalibrated thermostat or even damaged ductwork. Both of these issues would impact your air conditioner as well, so it’s imperative you take care of the problem sooner rather than later. 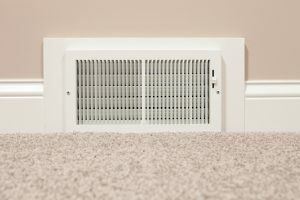 No matter how minor the sounds may seem, if your heater is making unfamiliar noises, it’s absolutely cause for concern. A few noises in particular that should warrant a professional repair call includes mechanical clanging or banging, hissing, or even just general noisy operation with no apparent cause. A spike in your heating bills over the coldest of winter days is natural. However, you shouldn’t see a sudden or dramatic increase, when you compare those bills to those of last year—or even if you compare your bills to what your neighbors are paying. If so, it’s a sign your heater isn’t working as efficiently as it used to. Short-cycling describes when an HVAC system turns on and shuts off rapidly, increasing the wear and tear on the system. It’s worth mentioning that if you have a relatively newer heating system and you’ve always noticed it short-cycling, it is unfortunately probably not the right size for your home. Be sure to talk to our pros about what your options might be in this case. Even if you only need your electric furnace for a couple more weeks here, it’s a good idea to have repairs done as soon as you discover the need for them. Letting a heater sit in wait through spring and summer with lingering repair needs can result in a much bigger, and more costly, issue when it comes time to use the system again.